Kathy Tulley, 70, of Peachtree City passed away on Monday, October 29, after a two-year battle with cancer. Kathy was born on March 1, 1948 to Harold Leighton McOsker and Kathleen Marcella Hanley McOsker in Charleston, W. Va. She was the first of four children. Kathy grew up in Miami, Fla. and graduated from Palmetto High School and went on to obtain her bachelor’s degree from Florida State University. She was preceded in death by one brother, Timothy Hanley McOsker; one sister, Roberta “Bobbie” Jean Carpenter; and her parents. Kathy is survived by one son, Christopher J. Tulley, daughter-in-law Kate Reid, and granddaughter Sydney Reid Tulley of Folsom, Calif.; a sister, Terrie Diamond, brother-in-law Gary, and niece Jenny Diamond of Pensacola, Fla.; a brother-in-law, Barry Carpenter and sister-in-law Gail, of Baton Rouge, La. ; and her dear, longtime friend Fred Smith of Peachtree City. Kathy worked in sales for the Atlanta Journal Constitution for twenty-nine years, leading the sale office for the AJC in Fayette County, and was awarded Sales Person of the year. Since her retirement from AJC, Kathy worked as a realtor for Berkshire Hathaway Home Services in Peachtree City. She was very active in the community and was a member of Rotary for over 10 years, serving on the Board of Directors as Director of Community Services, and was named a Paul Harris Fellow and awarded the President’s Award for Service. Kathy loved to travel both domestically and internationally and visited Europe several times, Australia, Africa, and South and Central America. She had very dear and varied social circles and nourished her friendships through participation in a bridge group, bunko team, and through many rounds of golf! 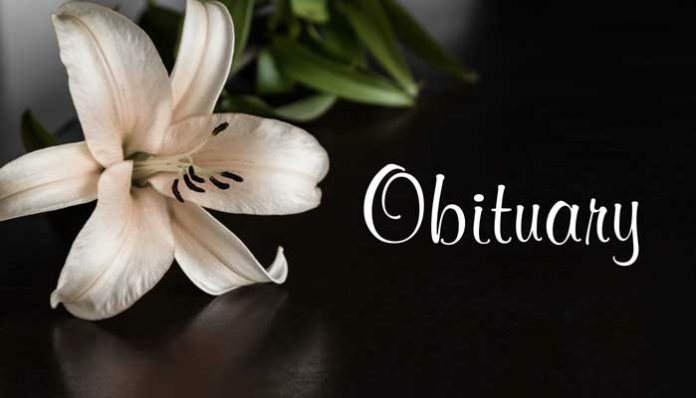 She was an excellent gardener, loved to watch the birds that frequented the many birdhouses and feeders in her yard, and was known for her ability to nurture beautiful orchids. In the past four years, Kathy’s pride and joy has been her granddaughter Sydney, who equally loved her “GiGi.” Kathy will be missed dearly and remembered fondly by her family, friends, neighbors, and coworkers. A memorial service was held Monday, November 5 , at 1p.m. at Flat Creek Golf course.